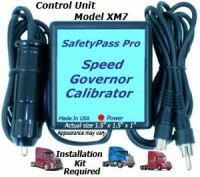 Safetypass Pro XM7EC6 Extension Cables for Permanent Installations on Cab-Over Tractors. Must be used with Main Cable (XM7MC). Fits XM6 and XM7 Cables and Adapters. Extension Cable Length: 6 feet, 1.8 meters. Extends Main Cable to 17 feet, 5.2 meters. 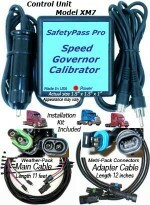 Allows enough length to route main cable from speed sensor connector to the main cab hinge and up into the cab. 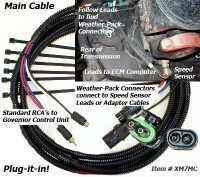 This extension cable is not required for Temporary installations on cab-overs. 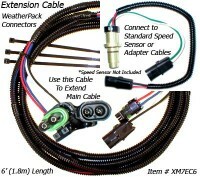 Click the button below to add the Extension Cable XM7EC6 to your wish list.